The New Taylor House. Remodeled in early March 2014. 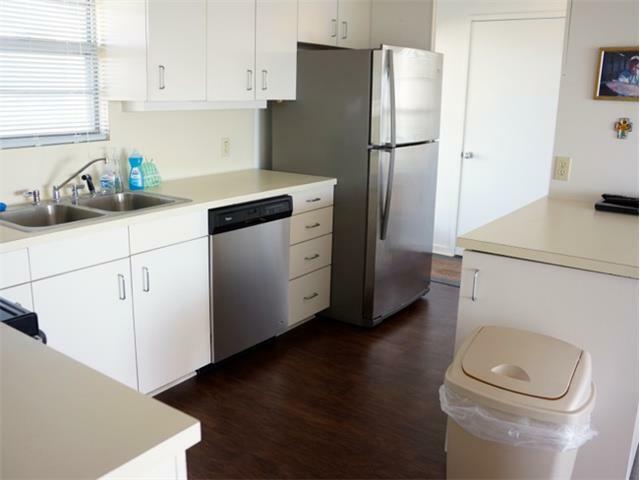 New Decor - Repainted - New Flooring - New Appliances. House right on the ICW. 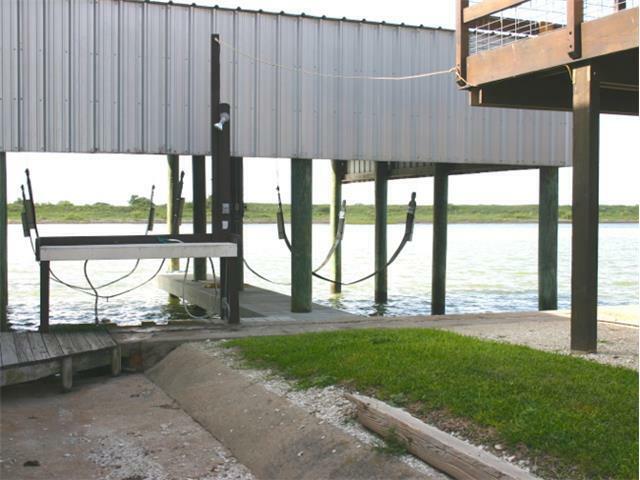 One Boat Lift, plenty of parking and a Fantastic View. Separate quarters up and down. 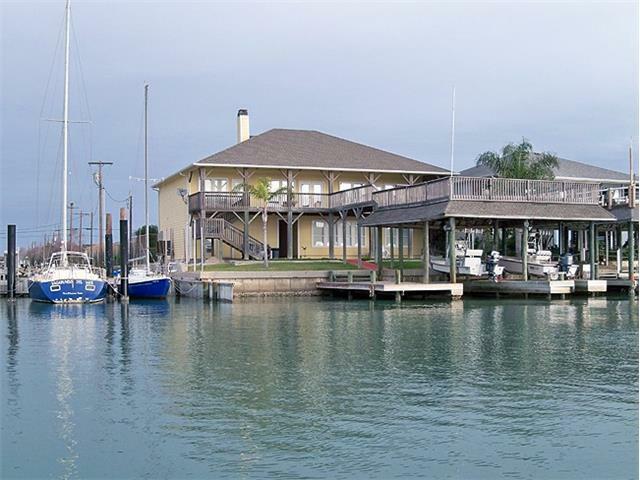 Priced right for a Great Vacation getaway in Port O'Connor. NO RATE INCREASE! 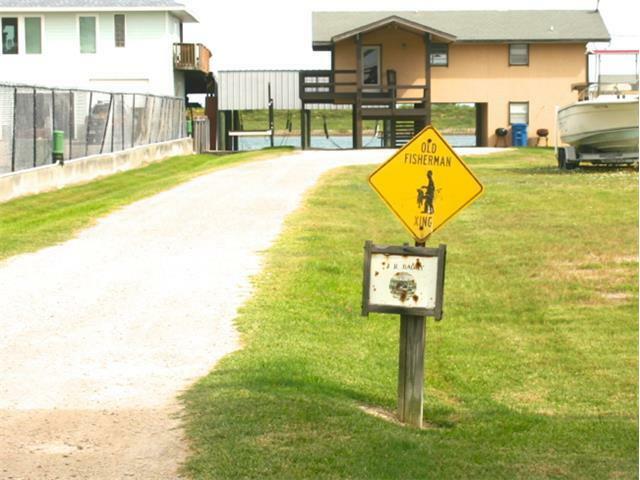 Tigrett Vacation Rentals Office	 Company 1900 ft.
Boat Ramps	 Fishing 4394 ft. 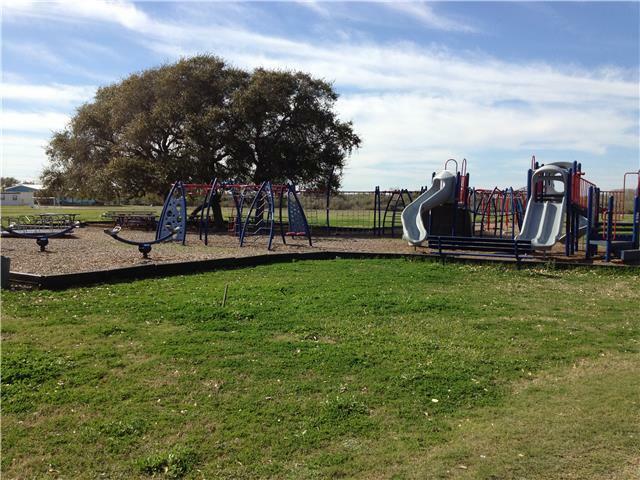 Port O'Connor School Playground	 All Seasons Attraction 1.11 mi. King Fisher Beach	 Beach 1.43 mi. Sunday Beach	 Beach 1.54 mi. We really enjoyed our stay at the Taylor Place at Port O' Connor. 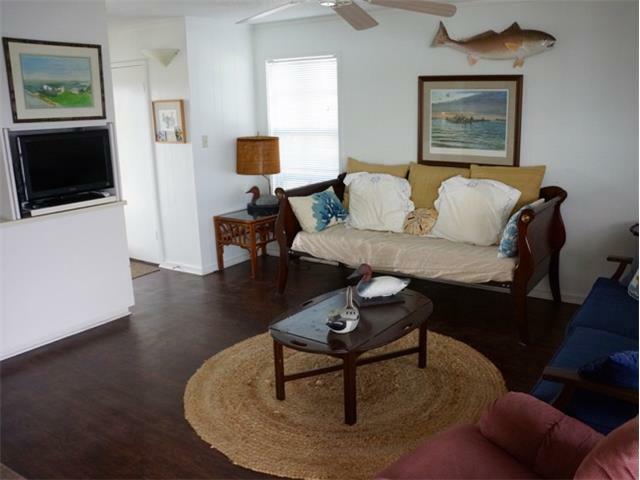 We have stayed at many rental places using Tigrett Vacation rentals and have never been disappointed. I would say though that this was the best house yet and plan to return soon. I really like staying here due to the boat slip, I can avoid the public ramp after unloading. The slip itself does raise and lower very slow though. It is nice to fish off the ICW when we are done on the boat for the day. The last time I stayed here I replaced the rod holders because the old ones were cracked and had sharp edges that looked dangerous if someone rubbed against it (I brought new ones in case the old ones were still there that I remembered from last summer). 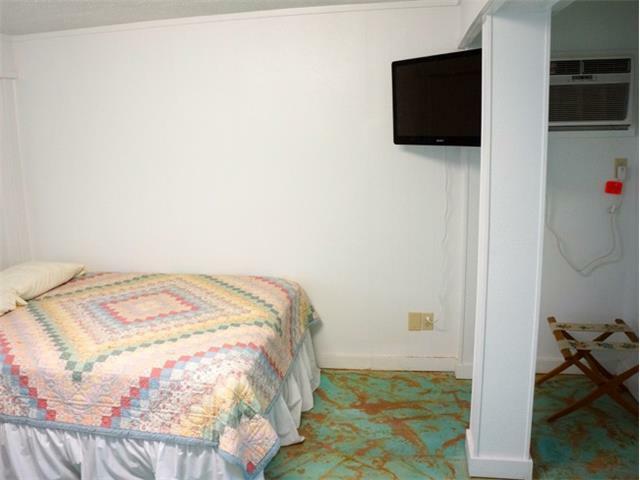 The rooms are clean and comfortable, the bathrooms are clean, and the kitchen is stocked relatively well with dishes and utensils. They need a wire grill brush due to rust on the charcoal grill though. The AC works well and the house sits offset from any roads so it is peaceful (you may not like the boat and barge traffic at night but I find it relaxing). I have stayed here 3 or 4 times and will continue to in the future. One thing I would love is a new dining table or to change cleaners. The table has a very tacky feel and it makes it hard to play poker on since the cards won't slide! I know, priorities! 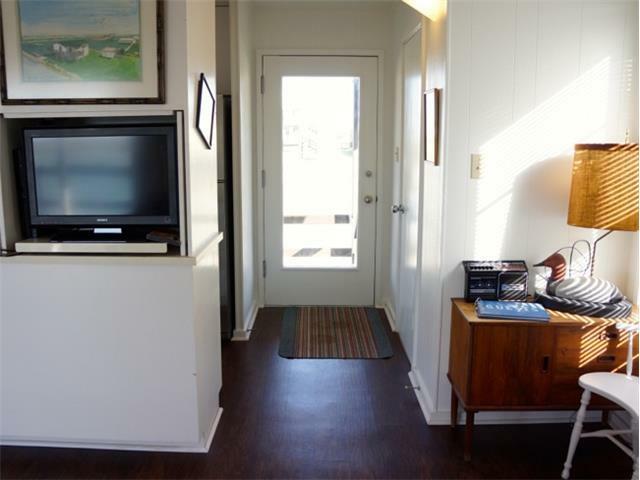 The living area is roomy and all appliances work. 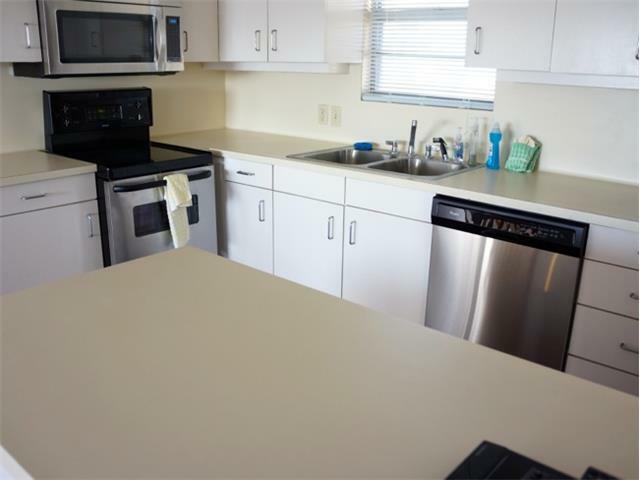 Clean, comfy, roomy, a stocked kitchen, and its on the water! Perfect. We booked this rental last year at the same time and it is such a great set up for what we were looking for we booked it again. Our group of 4 was getting together for its annual fishing and duck hunting weekend.Being able to keep our boat in a slip with a sling is very nice. Over all it offers most of what we need for our trip. Really there are only a few things that keep me from giving this rental 5 stars. I brought my own blow up bed this year since the small single in the upstairs bedroom is so low to the ground, its not bad for a kid but for an adult is a little hard to get up and down, a box spring would be nice. Also, a mounted flood light off the back deck for fishing or an underwater green light would be great. Again we brought our own lights but it would be nice not to have to carry lights with us. We did catch some trout and redfish under our lights so they were worth bringing. 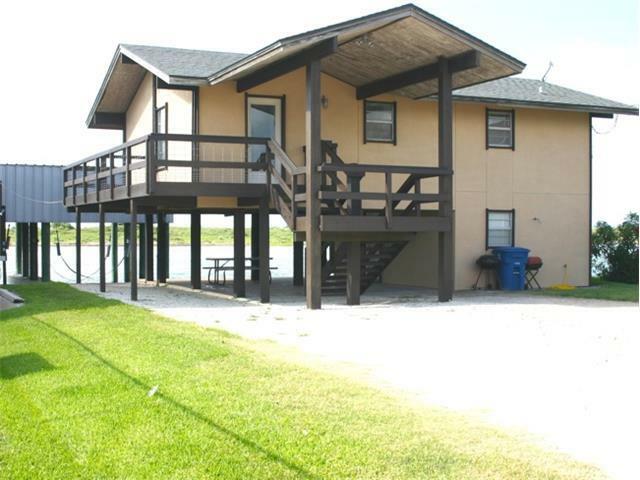 For a fishing or hunting trip, the house is a great place to stay and a great location to get to ramps, gas, groceries, and restaurants. The house was clean and well stocked. Being on the ICW was great. Having the boat lift worked out well, did not have to fight the crowds at the ramps. We fished right off the bulkhead, during the day and at night, using a green light that we brought. The local rental agency was very easy to work with, very professional. We will be renting this house in the future. Great to hear you had such a good time! We love this place. 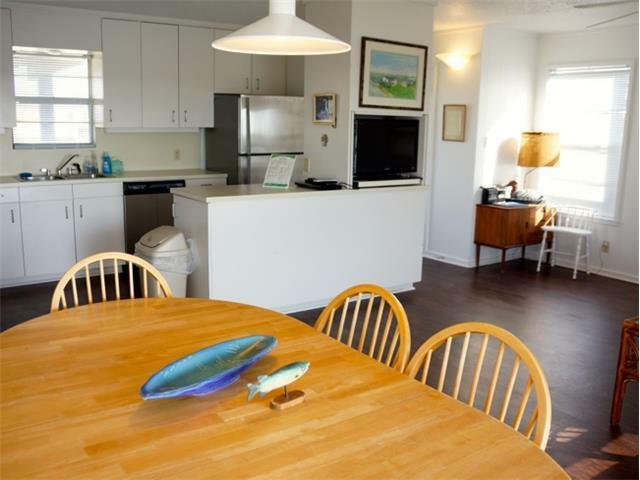 We have stayed in several places in Port O Connor and this is the best for fishing. This was the first time for the whole family and everyone had a blast. My son caught a 50 pound bull red off the back deck. We are already trying to figure out when we can all go back. Great to hear you had such a good time and hope to see you soon again. I booked this rental for me and 3 friends. We all lived together in college 20+ years ago and were getting together for a long weekend of fishing and hunting. This property was just about perfect for what we needed and where we needed it. 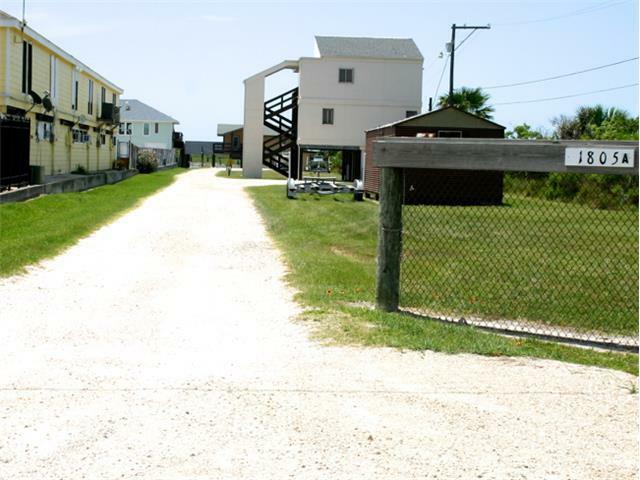 The location was great for both the areas we fished and hunted, for the boat ramp, and for the main grocery/gas store. 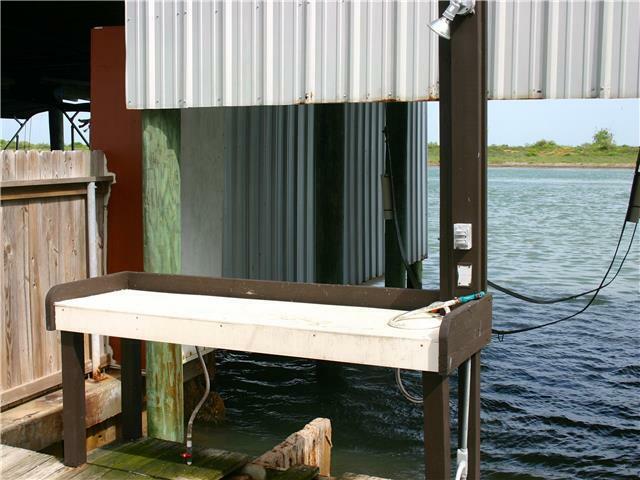 The boat slip and fishing cleaning station were a huge bonus and came in very handy. Also having a laundry house was nice too. The house had everything we needed and more. It had plenty of room for us and all our gear. The parking allowed for 3 big trucks and 2 boats. 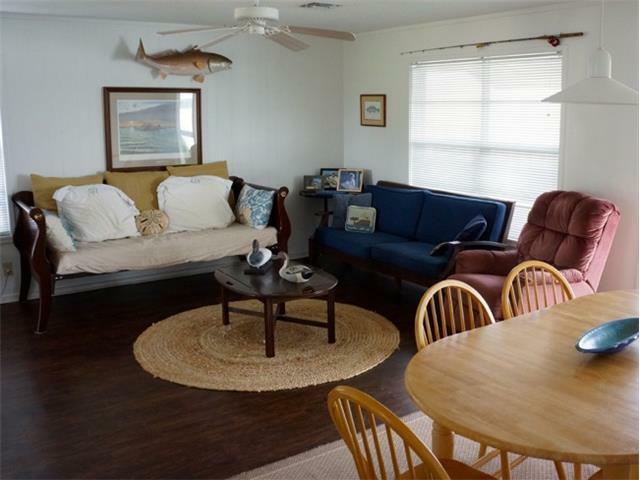 The only things that would have made this house even better was if it had had flood lights and green light for night fishing (we did bring our own though), a large sectional couch with pull out in the living room instead of the couches that are there, and better mattresses. Also, a dog kennel where I could have been able to have brought my lab for hunting. The slap in there where one used to sit. With all that being said, for the price of this rental I can do without those few things. I also loved the Cowan print on the wall. This particular print is of 4 friends who get together every year for a fishing trip. It was very fitting for our group. We are already looking to come back in the summer. PROS: The house was in nice shape and had basic kitchen utinsels provided. 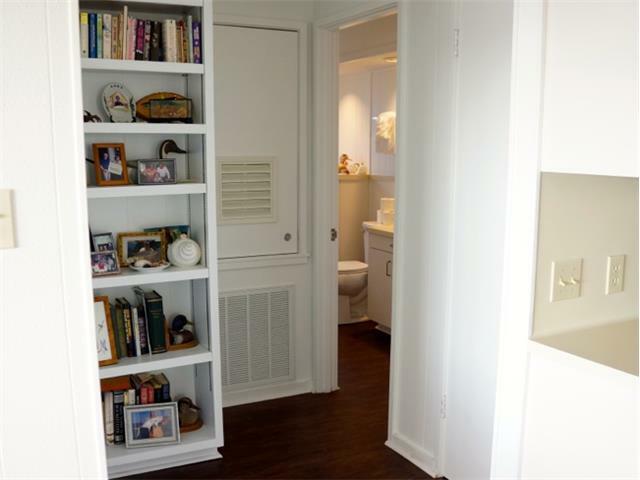 The entire house was clean and roomy. Outside, it was very pleasant to sit next to the intercoastal and let the kids fish and watch boats go by. 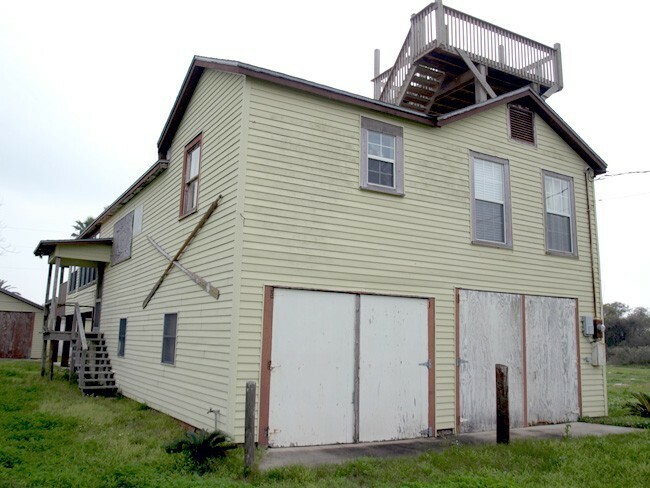 The house is on stilts so during rainy weather you can stay outside. Laundry room is outside but works fine and serves its purpose. CONS: The kitchen table has a sticky film that makes playing cards difficult because they won't slide. The BBQ grill is rusted out (but I think is being replaced). The boat slip is sloooooow is rising or dropping a boat and the boat wash down hose is cheap, kinks, and has no pressure. 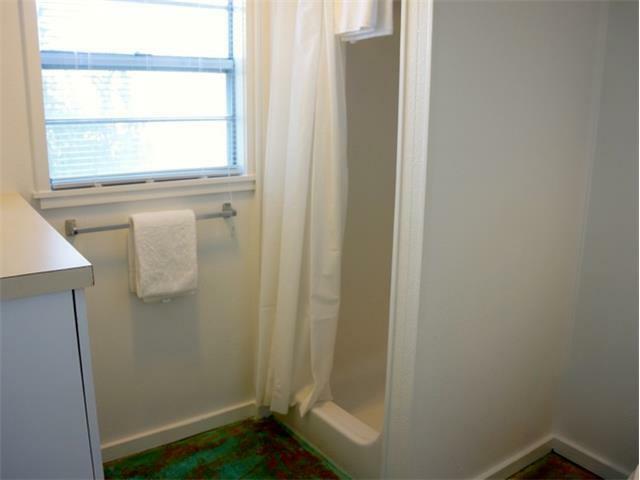 Might be slightly overpriced compared to other rentals I have utilized in the area, but you pay for location. People with small children should be aware that they can fall in the water, and although it isn't deep there is a current and barnacles could really cut them up. This house was very quiet except for the boats on the water, and that's what we enjoy. It is very welcoming. It's close to the fishing center and the store was right around the corner. If you like to fish for fun this is where you should stay. The deck around the house is a great place to sit and think about absolutely nothing. We are already planing our next trip. Had a 2nd annual fishing week for a friend of mine totaling 8 people. There was nothing better than waking up early and only having to lower the boat into the water and just going fishing. No hassle. 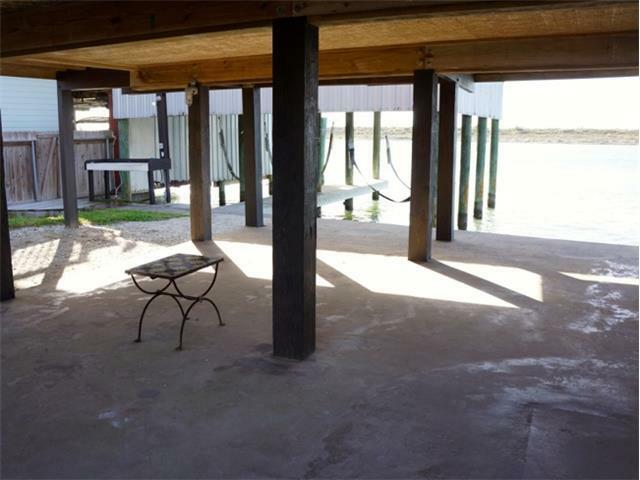 Breezeway under the house is perfect for enjoying a cold beer on a hot summer day and watching the boats and barges go by, or taking a nap before heading out for an evening run of fishing. The house itself had just been remodeled earlier in the year (March, I believe) and all of the facilities were more than what was needed. This truly is a great package house! 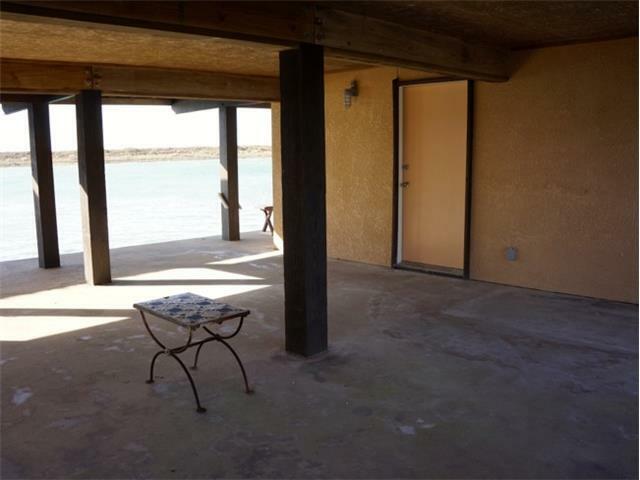 Nothing fancy just good ole bay house on good size lot with lots of parking and really no neighbors and easy access to anywhere on the water..enjoyed it and will rent again. Thanks for the review. Taylor's Place is a uniquely fun place to stay, indeed. 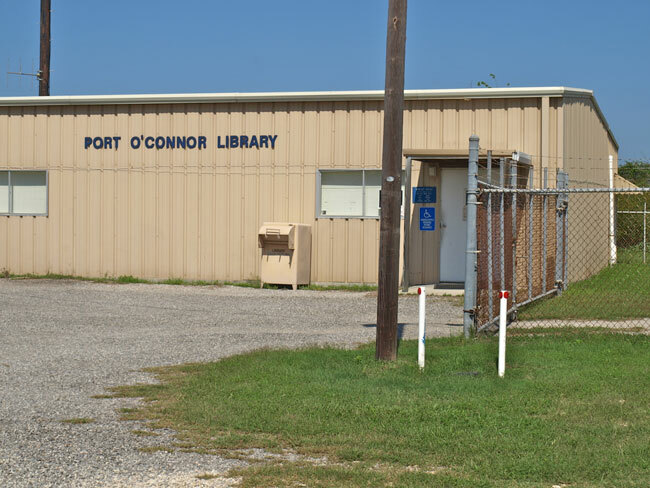 We look forward to your return to Port O'Connor. Even though it rained most of the weekend...we had a fantastic time at Taylor's Place. Rooms and grounds were clean. The large open dining/living area was roomy enough for everyone to visit and eat without feeling cramped. Downstairs bedroom had a musty/antiseptic smell that may bother some people although it did not bother anyone in our group. Nice sitting areas outside too! Thank goodness for the dryer because we were soaking wet after fishing for hours in the rain. Unable to occupy the 1st floor bedroom due to the overwhelming smell of moth balls! First floor was adequate. We're very sorry you had a less than satisfactory stay. We wish you had contacted us immediately so we could try to remedy the situation. That said, the smell of the first floor is not from moth balls, but from the creosote used on the pilings to prevent rot. We do attempt to air out the first floor prior to guest arrival, but it's not necessarily uncommon in waterfront properties. 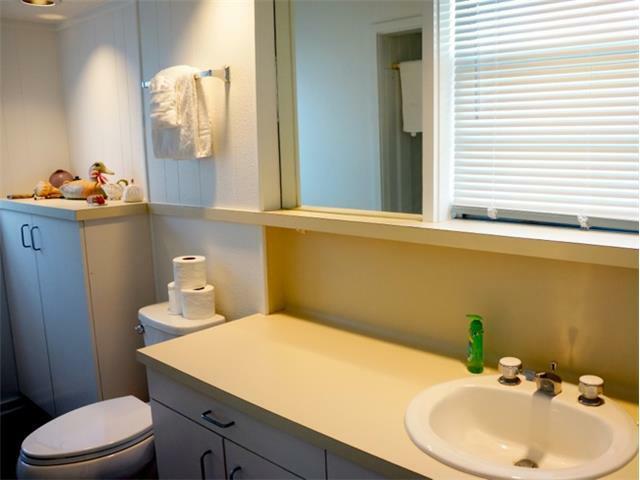 Although there's little we can do to fully mitigate the smell, we would certainly have welcomed the opportunity to find you an alternative rental or made some other kind of adjustment. When you return to Port O'Connor, please be sure to let us know as soon as anything you experience is less than you expect. The house was fine but very musty downstairs, parking was good but my buddy got the worst case of bed bugs you have ever seen. I have never seen anything like this so I would caution until someone does something about it. After your review, we sent out the exterminator to check the house (the house is regularly treated). We also inspected all the beds and linens. I'm afraid we were unable to find any bed bugs anywhere. What you may have experienced is sand fleas, which are very common in this area. They can bite, as well, although we found none in the house, it's quite possible you got them when you were out and about. 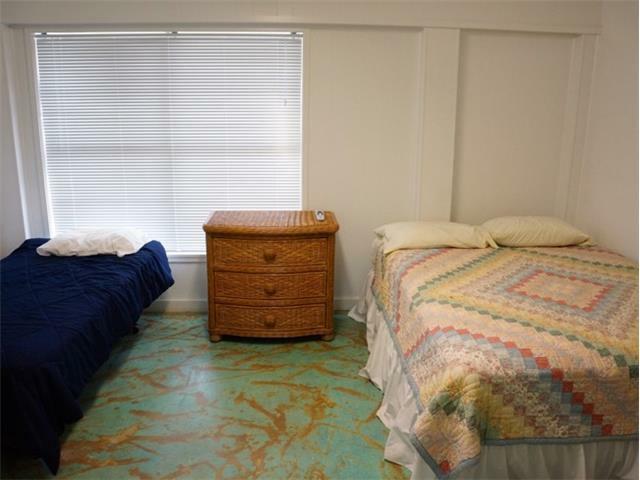 We can attest you that we have had no cases of bed bugs in any of our rental properties all season long (in fact, we can't remember ever having them in one of our properties). We're sorry you had a less than enjoyable experience, but we do want to assure you we found no evidence of bed bugs in the house. 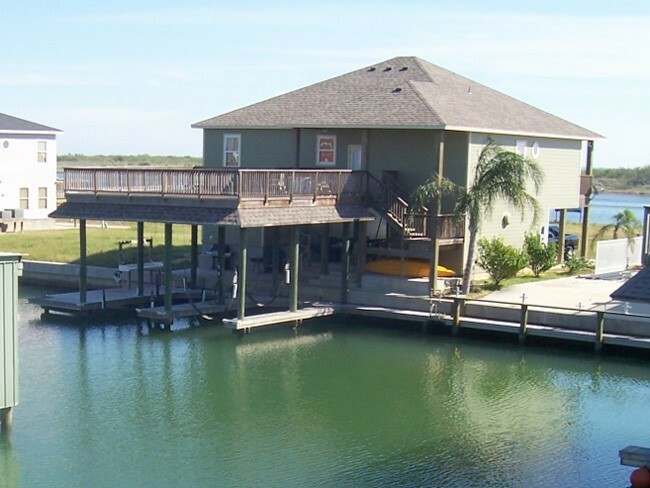 If you like fishing, being by the water this is the place.Ice cold a/c.Great boat slip. 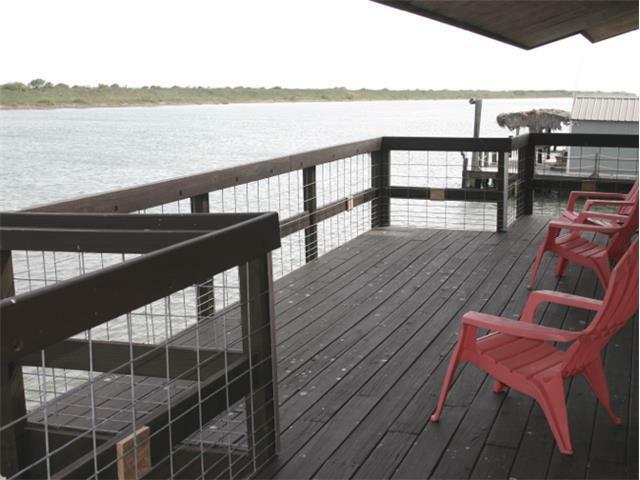 Very clean and has all the amenities.The deck was great for watching dolphins and all the boats go by.We had a blast. Enjoyed three days fishing and watching football at Taylor's Place. Boat slip, view of IC traffic, and nice basic clean cabin made the visit what we expected. Our party of 4 fit fine - any more would be difficult. 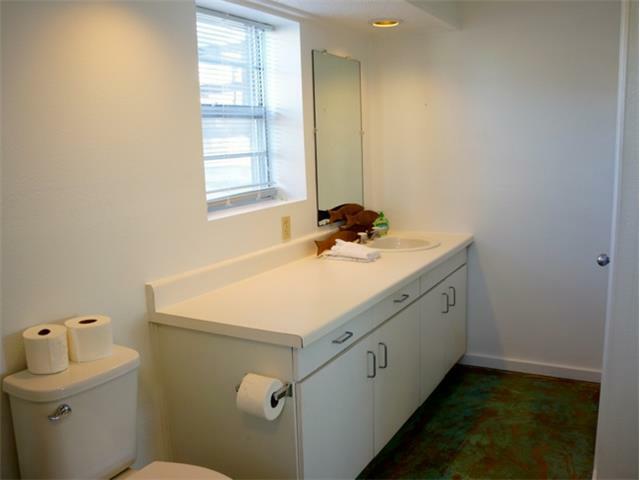 This was a very clean property. It did not have the unnecessary frills that only run up the rental cost and add no value to your vacation. I only wish this and all other rentals were not so expensive. Makes it hard to vacation in our home state when you can go to La., Fl., etc for the same amount or less. If we keep paying it, I guess the prices will keep going up. Great place to stay in POC. My customers enjoyed staying in Taylor's Place. The home was very nice and comfortable. They fished off the dock at night. Highly recommend! 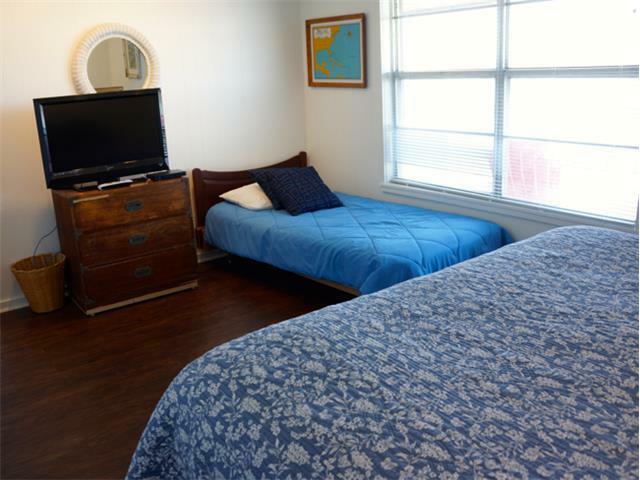 Taylor's Place is one of our most popular rentals. 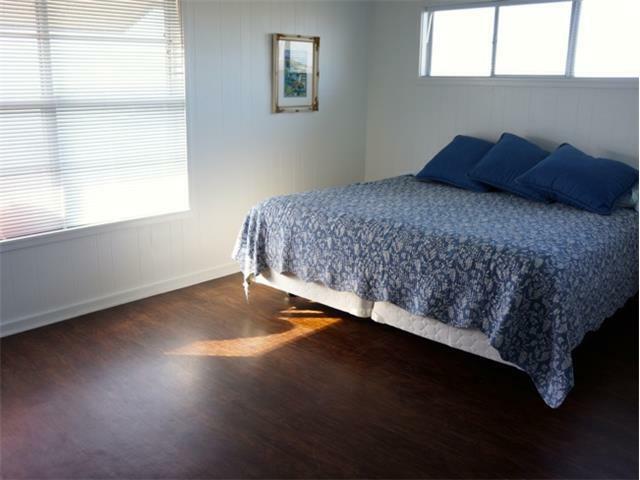 Great location on the ICW and comfortable, affordable accommodations. Thanks for the review and we hope your guests return again soon. 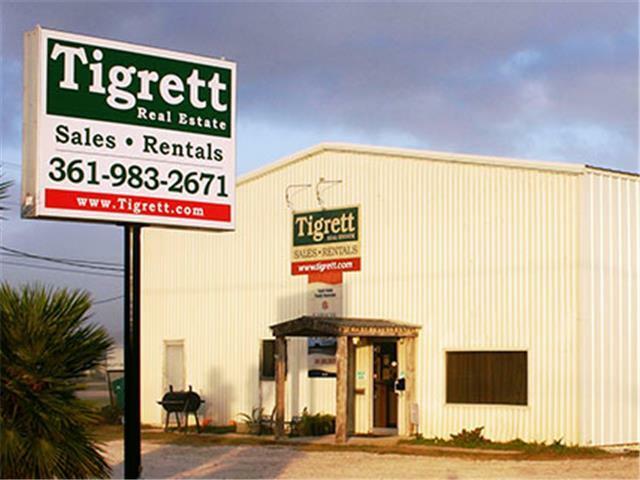 Well another great place from Tigrett Reality. We did spur of the moment and spent Christmas Eve and Christmas day here.We also bought a little tree and had Christmas there.Charming place right on the water and me and my friend were able to dock our boats there on the 2 lifts.It has a private downstairs semi apt with bath which was great for the 2nd couple.Very clean as every place I have stayed in the past.The smell is a little strong downstairs but if you air out the bottom apt no problem.Trust me you have plenty of wind at the coast.lol I will stay here again and defiently use Tigrett again for my next trip. We really enjoy staying at Taylor's Place. We have stayed at this particular location several times. Every chance we get, we come to POC. This is our favorite place to stay in POC. It's quiet and peaceful. Love the boat slip and right on the intercoastal. It's perfect. And the folks at Tigrett are the best. We love the location & the view. Upstairs was nice. Could have been a little more well kept. The closets had personal items that were pretty messy. Toys, shirts, general clutter. I have to say downstairs left a lot to be desired. Very musty & smelly. The floors need attention. I know it has been wet. Plumbing needs work. 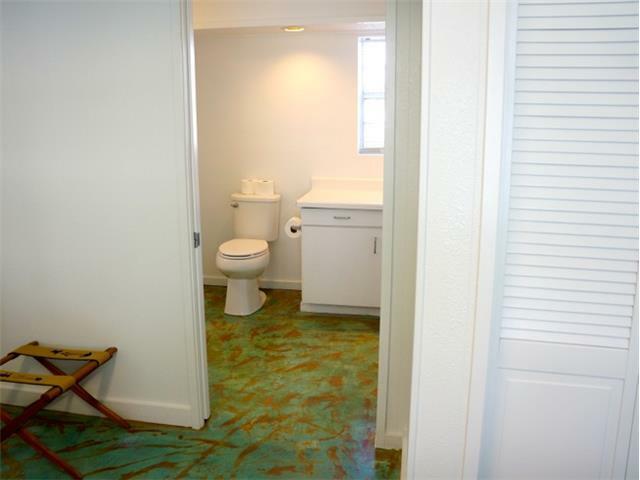 The floors in bathroom are unfinished. Great upstairs but downstairs really not good for guests. We don't expect perfect, but we would not ask anyone to stay downstairs in the condition it is in right now. 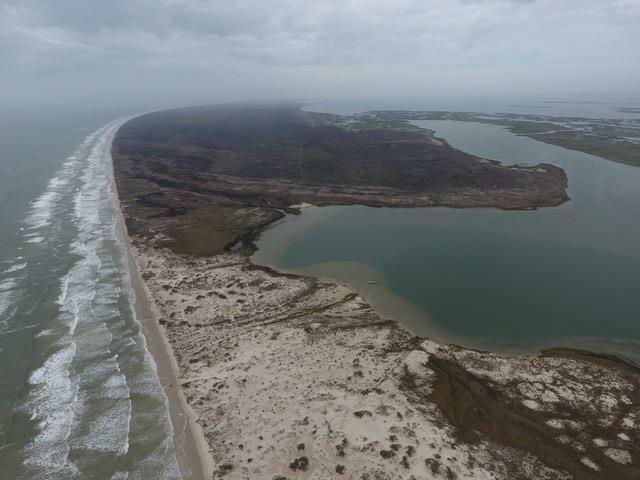 We love Port Oconner and are very happy with Tigrett. 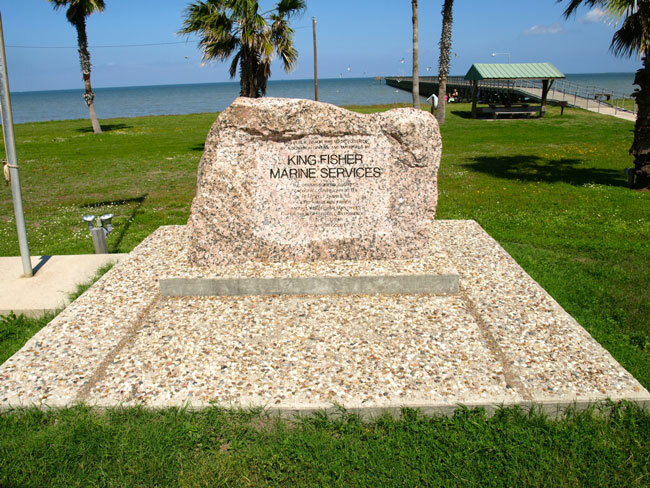 You have been great to do business with for the many years we have been coming to Port O.